gender swap. a mash up of genderbending. 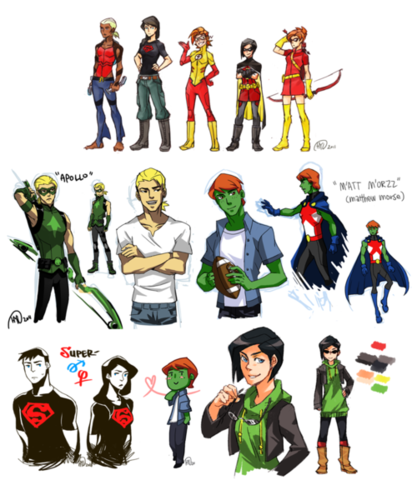 Wallpaper and background images in the Young Justice club tagged: wally artemis robin superboy megan the team aqualad young justice. dude, you found the pic i was looking for. thx so much! no prob!, but what wgere you looking for? Uhhh...k. I like it because it's funny. But I also hate it because Robin's a girl and i don't do women! So upset about that! 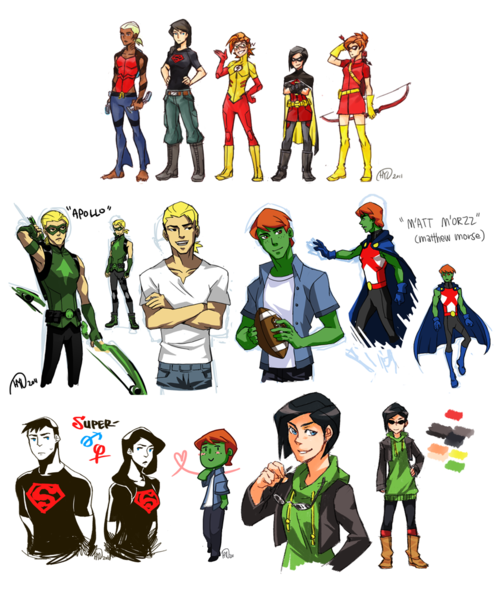 Then again, if I was in that reality (which I always am XD) I'd be gender swapped too! NM! I still like it! Who in the heck drew these!?!?!? I need 2 know!!!!! They r not right in da head!!! MAT U R HOT!!!!! THOUGH I REALLY DONT LIKE MISS M THAT MUCH!! Apollo is like..... OMG SUPER HOT!!!!!!!!!! omg i still cant get over the fact that supergirl looks like my sis but matt is soooooo hot.....Guy Robin is still better though. Humm haz anyone already taken Apollo cuz if not the DIPZ ON APOLLO!!! Would Apollo have Aretims's personality or Wally's because he's a guy? Apollo is Super Hot! Lol Roy looks so funny! I wonder if he is as flirty as a girl, than as a guy.